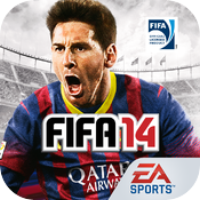 Fifa 14 does not impose any limitations on how long you can play the game, so you can play as long as you like without paying. The focus here is on Ultimate Team mode, To boost your team you can buy card packs using the game’s currency or real money, but real money is only optional. At the same time you can use the cards to manage contract negotiations, skills training and roster management. When you start the game you will see that it comes with the same kind of action that you have come to expect from the Fifa series. Not only are there are high end graphics but all the major aspects of football are covered here. In addition the controls are very easy to learn so anyone can pick up the game. There is an option to pay to unlock players but all the features can be had if you just play the game. And there’s plenty to like in the game that will keep players hooked to the game. More than the visuals and the sound, it is the gameplay in FIFA 14 that really makes it worth playing.